The technology components of Carbon Capture, Utilization and Storage (CCUS) are proven and in use across a variety of industries and applications. In some instances, individual industrial facilities can capture millions of tons of carbon dioxide (CO2) each year for use in other industrial applications, such as enhanced oil recovery. In many industries, such as steel, cement and chemicals, CCUS is capable of breaking the link between industrial production and the emissions of greenhouse gases. However, smaller scale industrial applications of CCUS often lack the scale of capture achieved by power generation facilities. This argues for a new business model for Industrial Carbon Capture, Utilization and Storage (ICCUS) specific to regions hosting relatively small carbon emitting industries. Regions that use ICCUS to establish themselves as ‘low carbon industrial zones’ could see significant advantages in the race to attract employment and investment, while reducing greenhouse gas emissions. 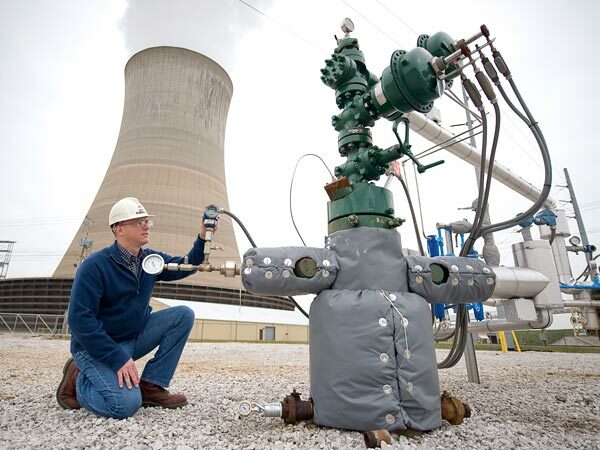 The United States Energy Association (USEA), in cooperation with the U.S. Department of Energy Office of Fossil Energy (DOE), seeks proposals for a consultant to organize three sub-regional ICCUS workshops in Appalachia (Northern, Central and Southern) and a region-wide Appalachia workshop expected to result in the identification of at least one ICCUS project in each sub-region. The workshops will result in the development of a pro-forma business plan that identifies industrial hosts and off-taker(s) linked via a CO2 pipeline or other suitable transportation modes. Emerging from each workshop prepare a pro-forma business plan containing recommendations for an ICCUS project(s) that identifies hosts; off-takers; transportation links; commercial, financial, regulatory technological, and environmental risks and recommends incentives to alleviate them; a financial model used to analyze the recommended ICCUS project and a financial analysis of the recommended ICCUS project. USEA’s estimate for this assignment is one person year of effort. The sub-agreement between USEA and the winning offer will be structured as a fixed sub-agreement for labor, fringe benefits and overhead. USEA will fund other direct costs, including travel (transportation, lodging and a U.S. Government approved daily meals and incidental allowance) directly. USEA will also fund directly all costs necessary to conduct the workshops. The cost proposal should include an estimate of the number of trips required to organize and conduct each of the sub-regional workshops and the regional workshop. Labor costs should include a level of effort for each person proposed to work on this assignment, their daily loaded rate, and the total estimated charge for each individual proposed. 40% -- Proven experience in, and knowledge of, ICCUS project development including an understanding of the technology and the financial, commercial, environmental, regulatory and technological risks associated with it. 40% -- Familiarity with the industrial economy of Appalachia and a proven network of contacts in the industrial, governmental, and non-governmental sectors. Interested parties are requested to register their interest prior to December 15, 2017 via email to the following mailbox: [email protected]. Registering interest will ensure you receive all questions submitted by interested parties and the corresponding responses from USEA. Questions on the terms of this request for proposals must be submitted prior to December 15, 2107 by email to the following mailbox: [email protected]. Final proposals must be submitted by email by the close of business on January 19, 2017 to the following mailbox [email protected].